Summer is well underway (almost time for school to start!!!) and it is the perfect time to start eating healthy and snack on something nutritious, wholesome and GMO free! Balance Bars are the perfect summer snack for the beach, vacation, road trip or at the park! It is also great to eat at home or anywhere you are hungry!! I am especially a fan of Balance Bar’s delicious bare bars, a nutritious, wholesome snack made with real nuts & fruit. Each bar is only 160 calories, non-GMO, gluten-free, soy-free and vegetarian and comes in tasty flavors like Sea Salt Caramel and Mixed Berry Nut which is also dairy-free and vegan. I recently headed to my local Walmart to purchase some Balance Bars for our family vacation. They are the perfect snack to eat in the car, at the waterpark and stick in the diaper bag, purse or even my pocket for easy snacks! Plus, Walmart offers an exclusive bare value pack. The 4+1 value pack of the Balance bare bars at Walmart includes an extra free bar and a $1 off coupon so it’s a great value! I love these bare bars from Balance Bar because they aren't too sweet but are made with my favorite snacks: nuts and fruit...and NONE of it has GMO's, soy, or gluten!!! They are perfect snacks for the whole family and we feel good eating them! As our family stays active this summer walking to parks, going to zoo, bike rides and so much more, we are keeping Balance Bar energy bars near by and always ready to eat at all times! They are keeping us energized, keeping our metabolism boosted and fueling our bodies! And if you are looking for a way to start or get active this summer, check out some of Gabby Reece’s quick and easy workout moves! 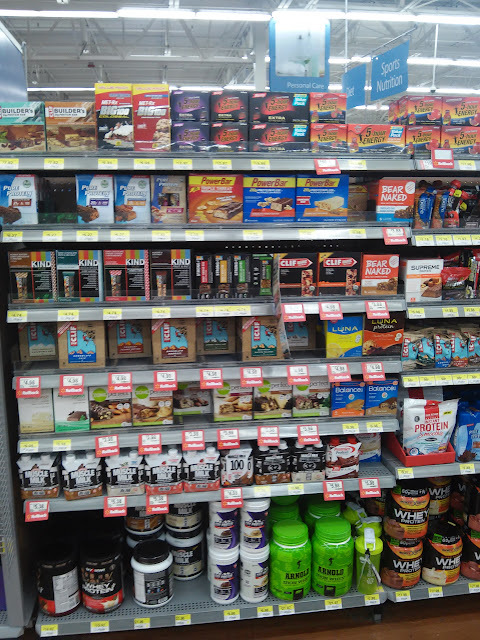 You can purchase Balance Bar bare bars at your local store and online at Walmart. Balance Bar is generously offering (1) $15 Walmart gift card and a variety of Balance bare bars to a lucky winner! a Variety of Balance bare Bars.